Today is April 2nd and 5 inches of snow fell in my yard today. At least half of it has melted away this afternoon. An April snow storm does not mean that global warming is a hoax, played by mean scientists on poor Americans. But I think an analogy would be helpful for dubious Americans. 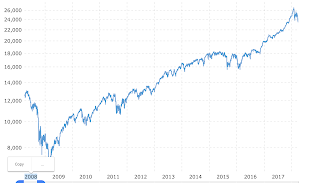 The Dow Jones Industrial Average is used as a representative gauge of the economy over many decades. Today the DJIA fell 458 points. However, that is only a 2% drop. 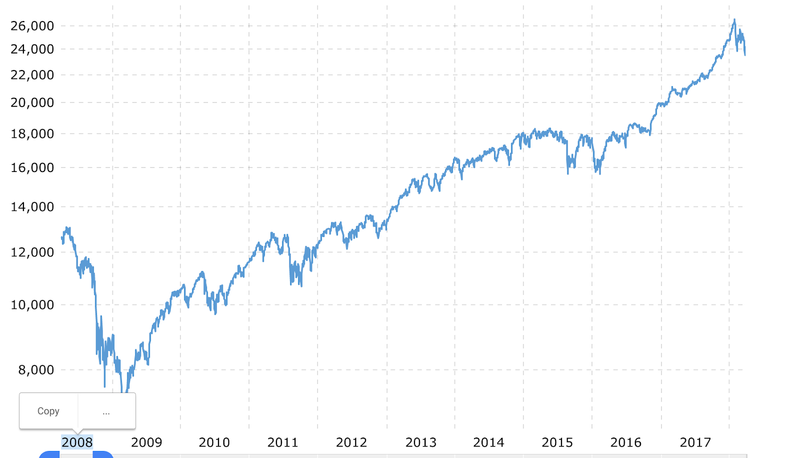 In ten years the stock market index has grown over 300%. The impact of 2% on one day is massive for someone just starting out, but for someone who has been invested over 10 years, it's merely a hiccup. Today's spring snowfall is like today's drop in the stock market. The temperature of both fell, but the upward trend is undeniable. A heated up stock market can be a good thing for most people. A heated up planet can be a good thing for a few people. But for most people a hotter planet will be a bad thing. 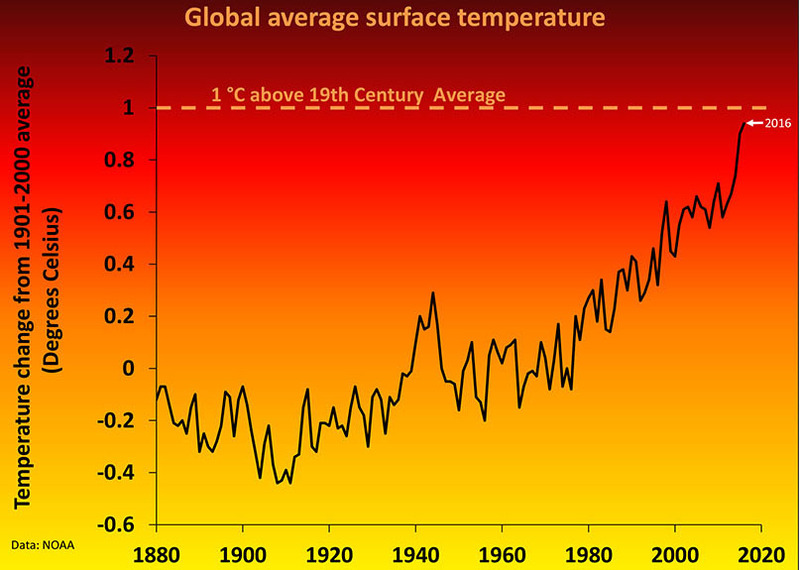 And it's not just rising land temperatures where this is seen; here are nine more. Global temperature rise will hurt poorer people harder first. The US has the economic strength to rebuild multiple times a year after hurricanes, floods, fires, and blizzards. Smaller nations do not have this ability. Global warming could make the global refugee crisis even worse. We do have the ability to slow this trend, by reducing our CO2 output. Imagine if all the forests in the world suddenly burned up. That would put a lot of CO2 into the atmosphere. Did you know oil and gas and coal are ancient forests compressed into energy-dense hydrocarbon chains? When we burn these fuels, we are burning up ancient forests, with less smoke, but more CO2. As oxygen reacts with these chains, it releases energy and combines with the C atoms, making CO2. This gas retains heat in the atmosphere, just like a greenhouse does. Geologists have studied what has happened during earth's previous big climate shifts. Dramatic cooling by an massive asteroid impact while the massive Deccan lava traps were erupting in India created such a change that resulted in my dear readers being mammals instead of intelligent reptiles with favorite college teams and smart phones. If our current climate change continues, it could be octopuses taking over sooner than they expected. We only have one planet. It's time to take responsibility for our actions and demand our government not kowtow to hydrocarbon based wealth and turn to Carbon reducing practices. One snow storm in late spring will not fix anything.